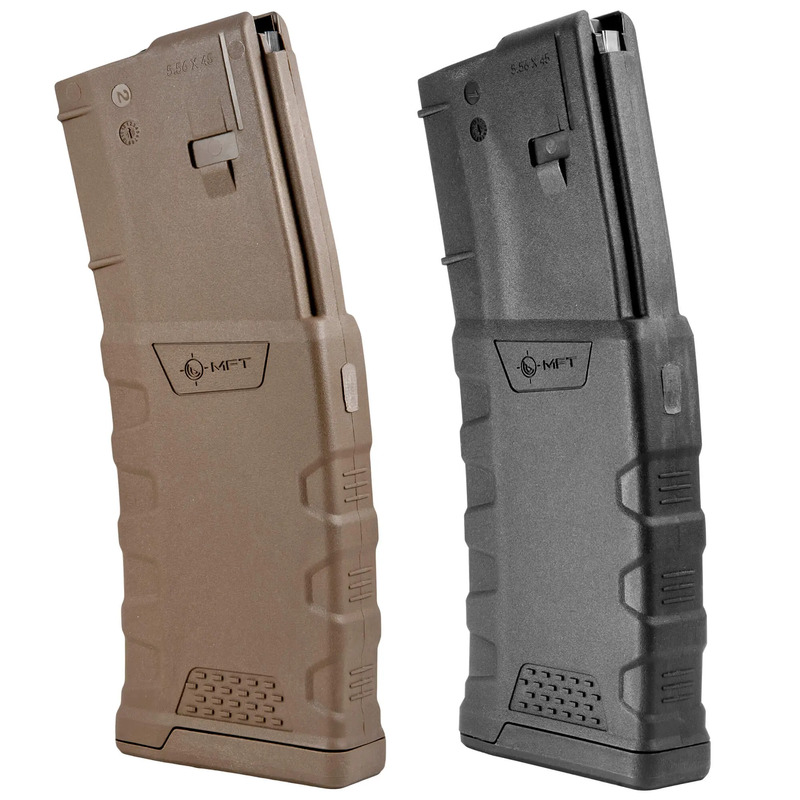 Mission First Tactical Offers a new and improved polymer in their Extreme Duty Polymer Magazine. Next-generation long glass fiber polymer is used in a magazine that is slim but tough, with ergonomic and functional improvement over other magazines. The enhanced anti-tilt follower features an oversized bolt catch, making the bolt hold open feature of the AR15 more reliable. Finger grooves and texturing ensure a solid hold on the magazine, whether you use the “beer can” grip or draw magazines from your belt or chest rig. For those running .300 Blackout, this magazine can also accept heavyweight subsonic loads with no problems. Available in Black and a Magpul-matching Flat Dark Earth. They call it “Scorched Dark Earth”, which is pretty cool, but we’re gonna call it Flat Dark Earth.